Woman Arrested For Doing THIS To Her Ex-Boyfriends Puppy After An Argument. A judge set a high bond for a woman accused of killing her ex-boyfriend puppy by placing it in a hot oven. Kinny Redmon, 24, was charged with animal torture and aggravated cruelty to animals – both felony offenses – for allegedly putting a three-month-old pit bull puppy in a 300° oven and shutting the door. An Urbana police report said the 31-year-old owner of the dog and Redmon used to date and have a child in common but broke up about six months ago. However, the man allows Redmon to stay at his house. On Wednesday, the two got into an argument and the man left the house early for work, leaving his puppy in a crate. Redmon was not there at the time. While he was at work early Thursday morning, he noticed that he had missed three different calls on his cell phone. 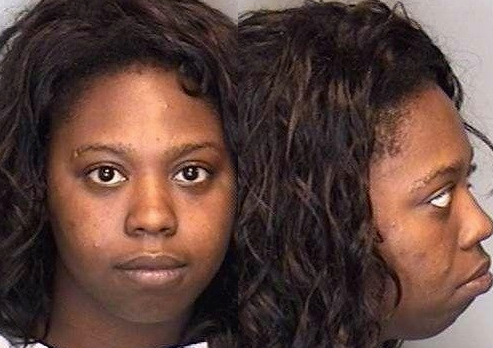 Urbana Police investigator Dave Smysor said that the woman called him back again and said, “Go get yo’ puppy out the oven, ( expletive ),” then hung up. Smysor said the man returned home to find his oven on, set at 300°, and a chair pushed up against the oven door. He found the puppy dead inside. Police reported and overwhelming stench coming from the house.